When you’re done teaching and decide a tree can do your job it’s time for the semester to end. 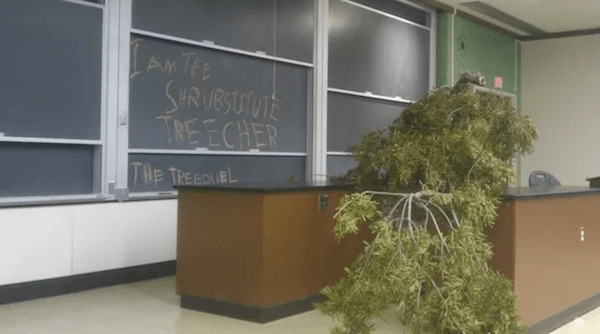 We have to applaud this teacher for naming it their “substitute treecher.” Extra points to this teacher if this was a botany class. We have a feeling everyone just “leaves” the classroom after they see who’s in charge. The next teacher set some really low expectations.